Migraine headache is one of the most common medical conditions in the United States – and also one of the most commonly misdiagnosed. Despite the belief that migraines are rare, statistics estimate that migraine headache affects about 20 percent of the population. Moreover, because migraines are often missed by physicians or not reported by patients, the actual number is likely much higher. Here are five facts about migraine that might surprise you. A “sinus headache” or “tension headache” is likely migraine. Although sinusitis, or inflammation of the sinuses, is a common diagnosis, it typically doesn’t cause a headache. An actual “sinus headache” is extremely unusual, and most headaches in the sinus region are really migraines that affect the nerves in that area. Tension headaches are more common, but are generally not painful enough to need medical attention. In other words, if your headache is bad enough that you need to call the doctor, it is probably a migraine. You often hear that migraine headache is accompanied by visual disturbances such as flashing lights or blurry vision, but these “auras” actually are rare, affecting only about 10 percent of people with migraine. Similarly, only about 15 percent of patients vomit. Nausea, however, is a common migraine symptom, as is sensitivity to light and dizziness. 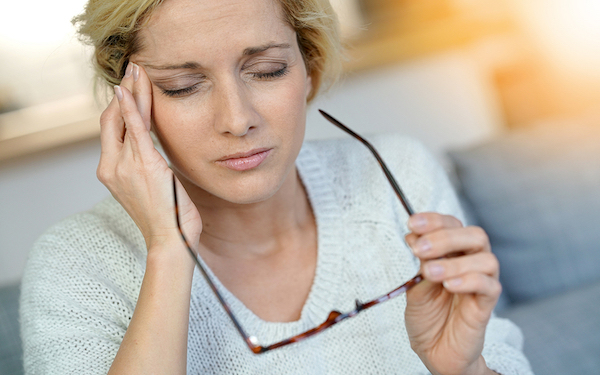 Additionally, not all migraine headaches are one-sided or pulsating; a headache that affects the whole head or feels like a tight band may be a migraine if there are other symptoms such as nausea and light sensitivity. Chocolate, cheese, citrus, dairy and other foods have long been blamed for triggering migraine headaches, but they may not be to blame. Migraine headaches are divided into two classes: episodic and chronic. Chronic migraine occurs more than 15 days a month; episodic is less frequent. Because chronic migraine patients have headaches so often, they start to believe it is normal to have some type of headache almost every day. Many take over-the-counter pain relievers daily instead of seeking medical help, so their condition often goes undiagnosed. Moreover, non-prescription pain relievers aren’t meant to be taken on a regular basis, and doing so can lead to other health problems such as stroke. If you have frequent headaches, don’t try to treat them on your own; make an appointment with a neurologist for an evaluation. Migraine can be treated and prevented. With the right treatment, migraine can be prevented. Several prescription medications, taken daily for six months to a year, are intended to break the migraine cycle. Botox injections are another FDA-approved alternative for chronic migraine prevention; patients receive 31 injections in specified sites every three months. These preventive approaches work by blocking the release of inflammatory pain chemicals that lead to migraine. Other prescription medications can help stop migraine headaches after they have started. Dr. Engel notes that The American Headache Society recommends against narcotics such as Vicodin for migraine pain. New therapies on the horizon include a preventive treatment that targets migraine pain receptors, and a handheld device that stimulates the vagal nerve, which may help prevent migraine pain. —“To Your Health” is brought to you by the physicians and staff of Scripps Health. For more information, please visit scripps.org/SDCNN or call 619-319-9379.